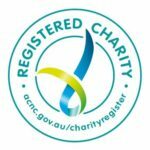 Originating in the USA, International Survivors of Suicide Day is held annually in November and WINGS of Hope co-hosts a gathering in Balmoral, Sydney, for people bereaved by suicide. This annual event is a collaboration between WINGS of Hope and the Centre for Intense Grief’s Director, Dr Diana Sands, and is attended by committee members, friends and supporters. Balmoral Island is the traditional venue where an informal and heartfelt ceremony is held, beginning with a reading (often a poem), then guests select a stone from those we bring, and write their loved ones’ name onto the stone, before placing it under our sacred Eucalyptus tree. Guests can also cast one of our many flowers into the harbour as a gesture of love and remembrance. This special ceremony honours and remembers our loved ones lost to suicide and allows those gathered to connect with others who have shared a similar type of loss. WINGS of Hope gratefully acknowledges the generous support of Mosman Council for the Remembrance project. In 2010, Mosman Council chose to support WINGS of Hope in planting a tree on Balmoral island in memory of loved ones. Starting as a small sapling, the tree was nurtured by suicide survivors, watering it as they took their morning walk and carefully bolstering it with stakes it as it grew. The tree became a focal point for our annual remembrance ceremony and enables people to visit the sacred place any day to enjoy the peaceful surroundings and remember their loved ones. 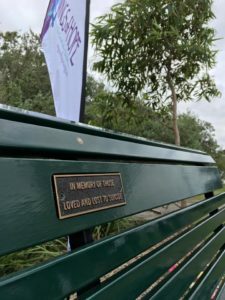 As time went by WINGS of Hope agreed that this place would be even more special if a seat was added, where people could sit quietly and reflect in peace. Through community fundraising via WINGS of Hope’s website we raised sufficient funds to enable the seat to come into reality. Our seat was installed in 2013 along with a plaque inscribed, “In memory of those loved and lost to suicide”. Conditions at Balmoral Island can be harsh and thankfully, the tree still thrives today in spite of sometimes experiencing very strong winds and rough weather. We often hear through our network that people bereaved by suicide still visit this special place to remember their loved ones. On behalf of WINGS of Hope we invite those bereaved by suicide, support people and friends to join us each year in memory of their loved ones, who are always remembered in this special place. To find out when our next gathering is please click on our events link.